 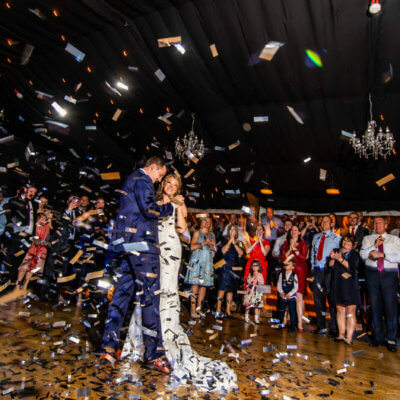 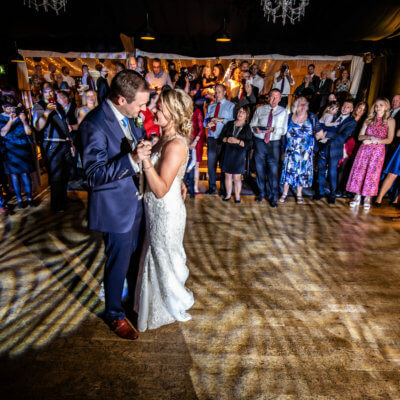 Katherine & Tom met while working together at Oceana nightclub in Milton Keynes. 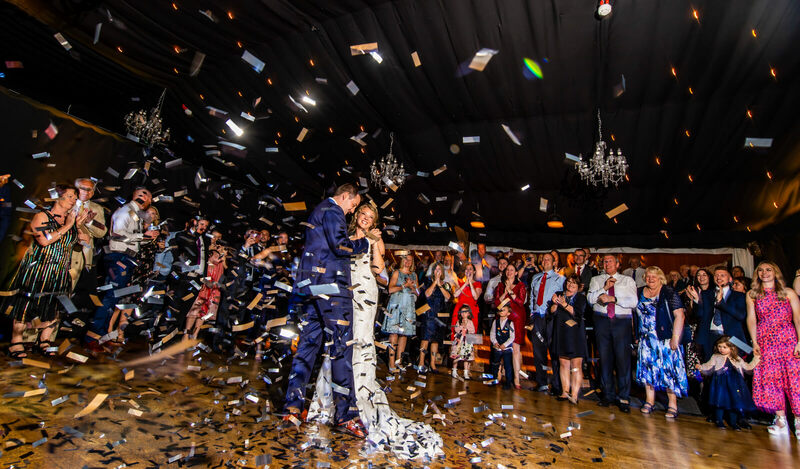 Katherine claims that Tom didn’t talk to her for at least three months though she must have made quite an impression as ten years later, he asked her to marry him on his 30th birthday in Sydney. 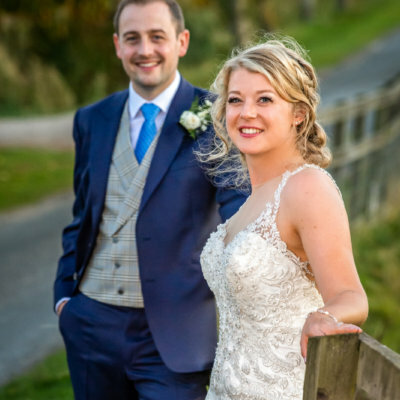 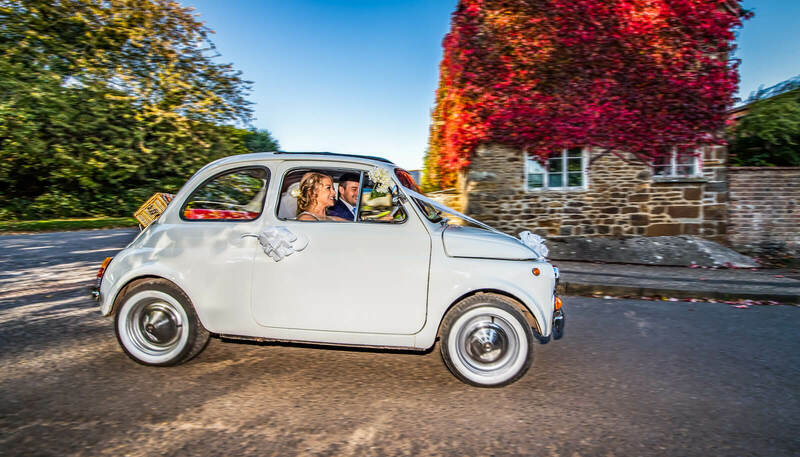 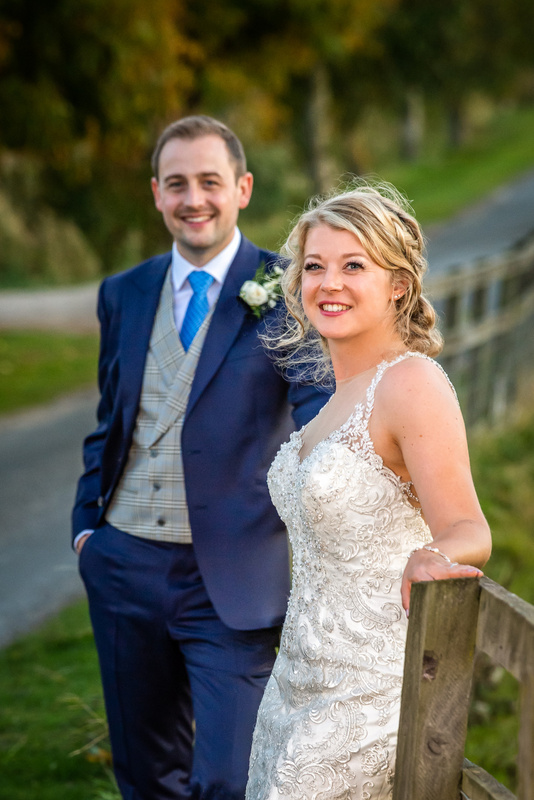 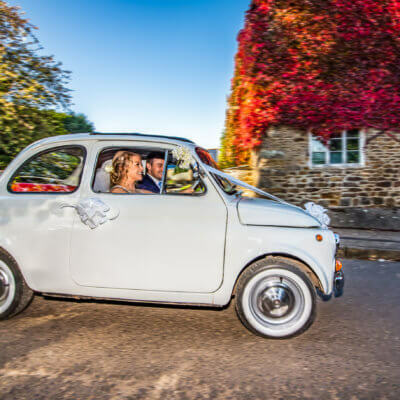 The couple married in Eydon church, one mile from Crockwell on a sunny October Thursday. 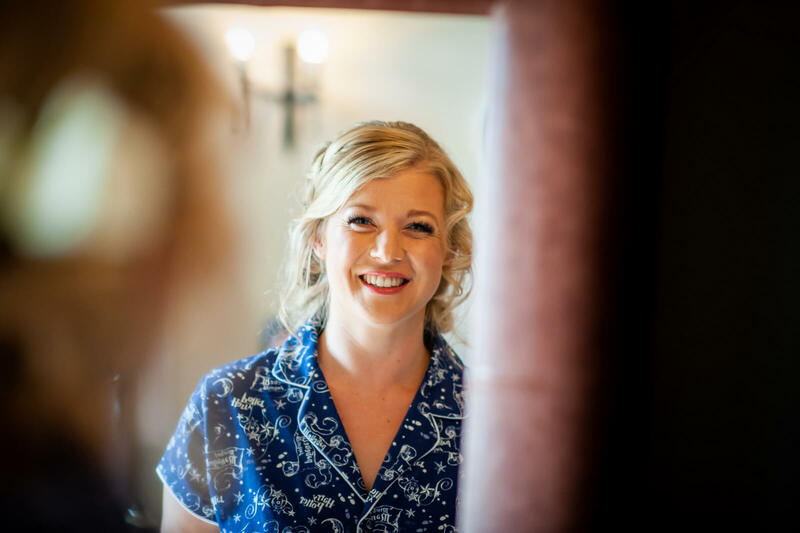 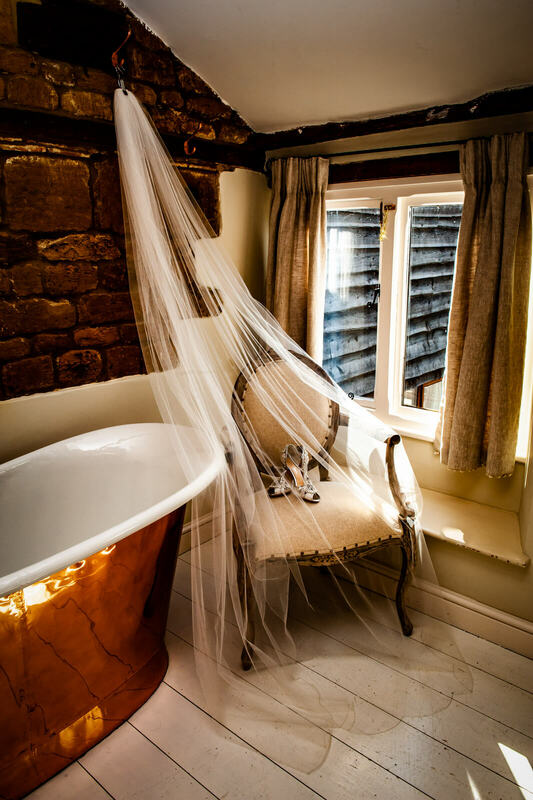 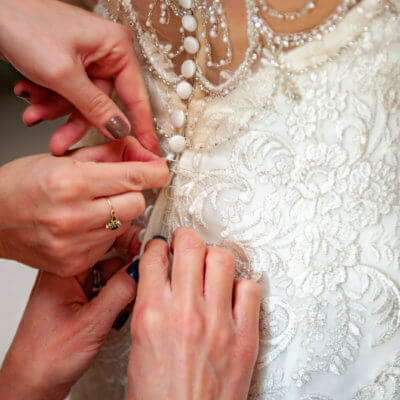 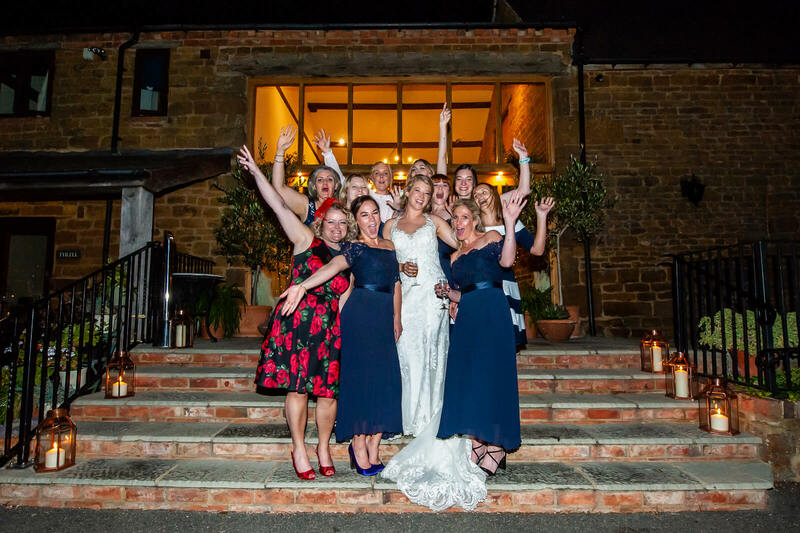 The bride found her Maggie Sotterro dress in the Ivory Wardrobe, Woburn Sands. 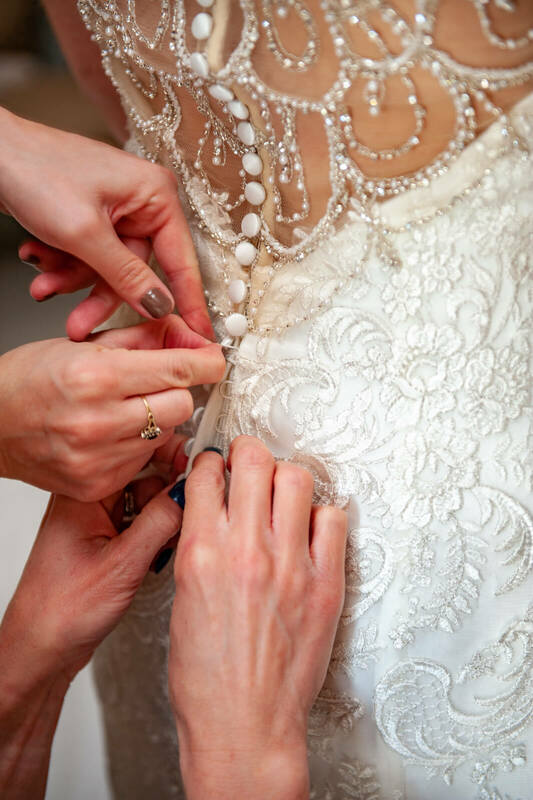 It was the first dress she tried on and luckily enough fitted like a glove. 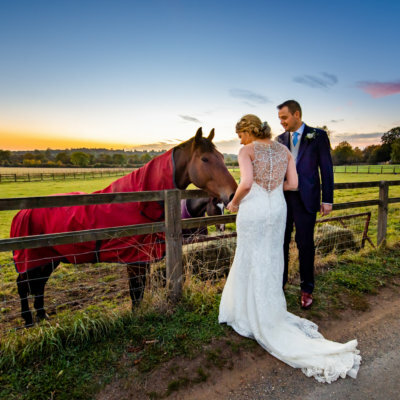 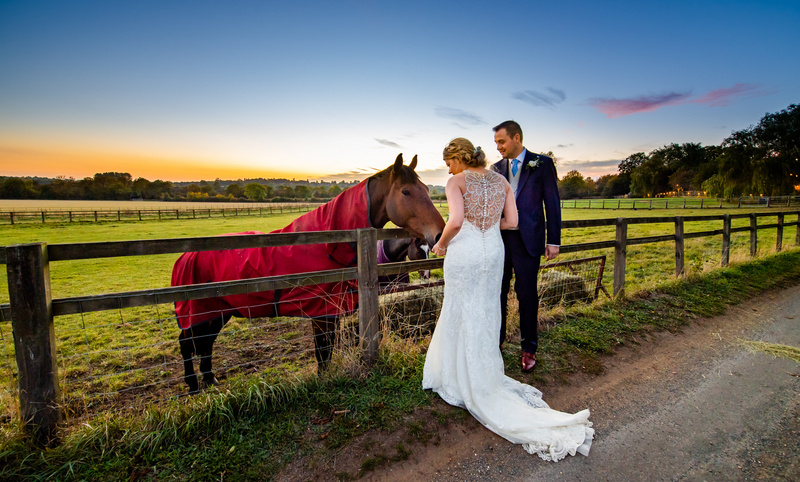 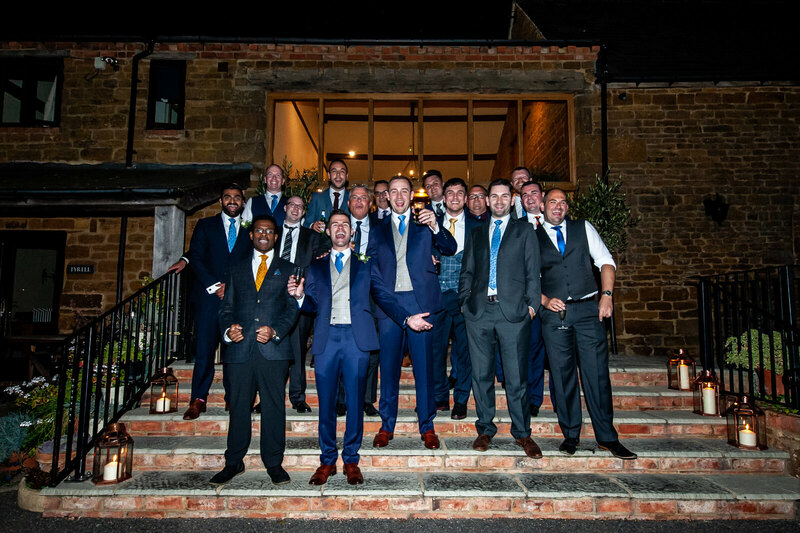 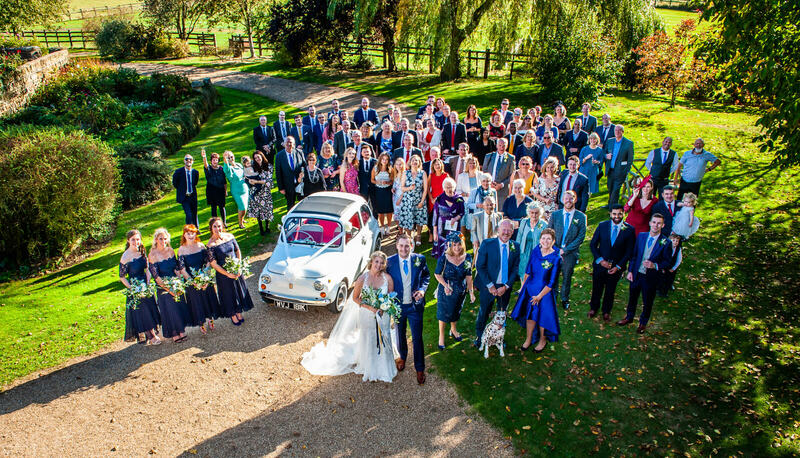 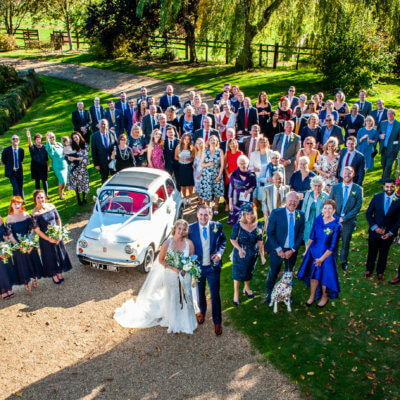 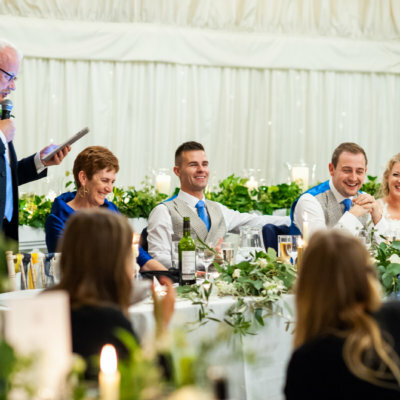 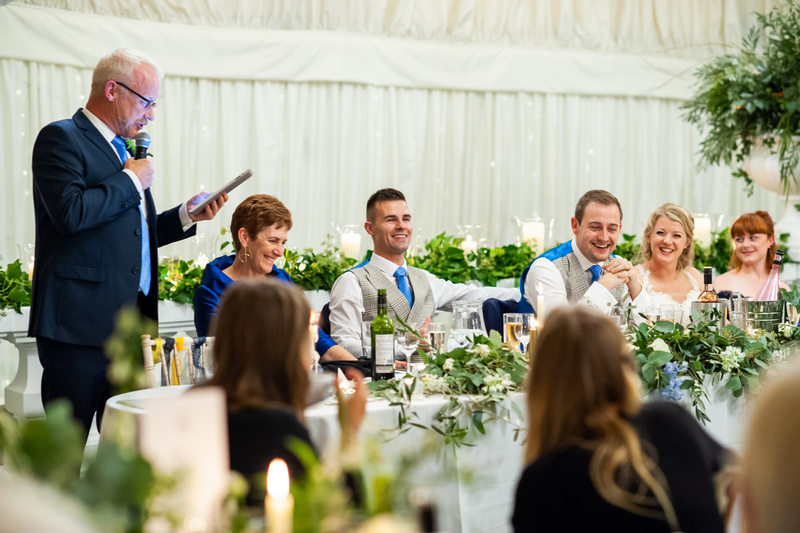 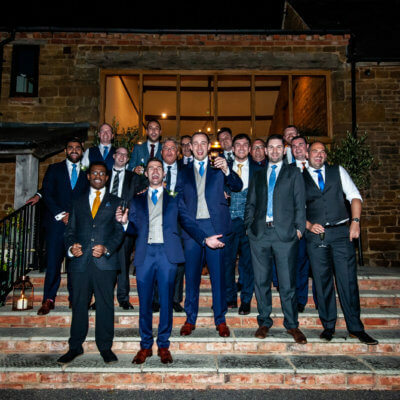 Her handsome groom chose a classic Navy suit for himself and his ushers, which were made to measure by Souster & Hicks also in Woburn and complemented by a dapper tweed waistcoat. 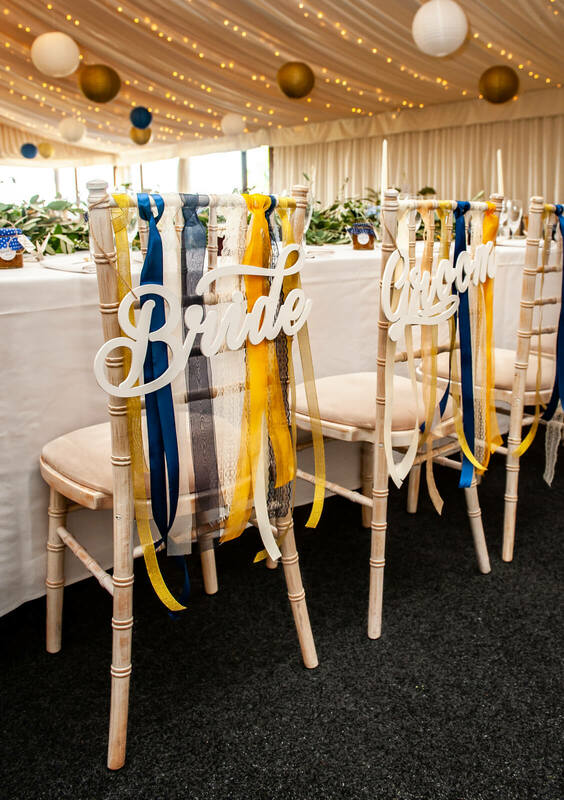 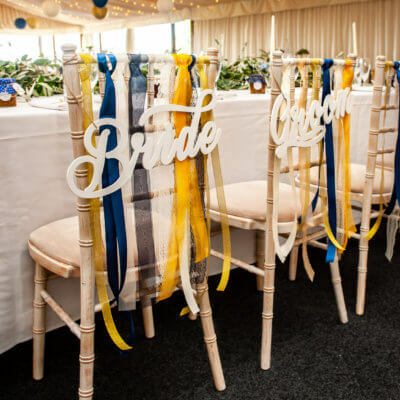 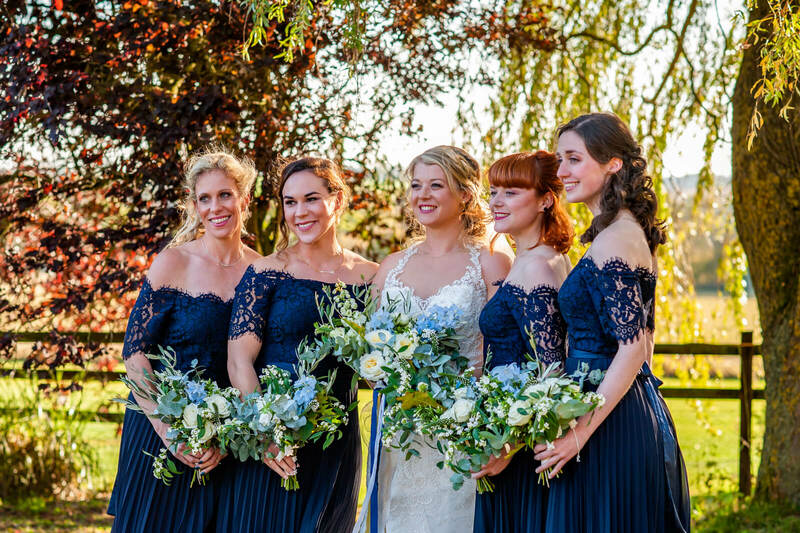 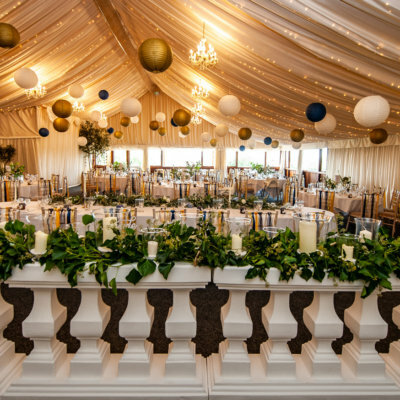 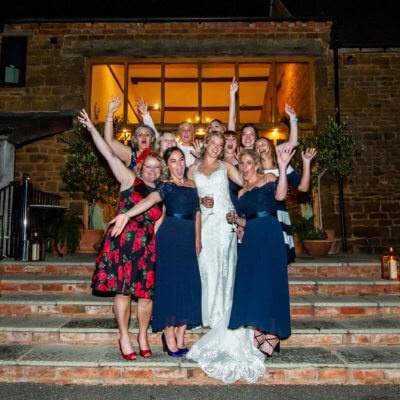 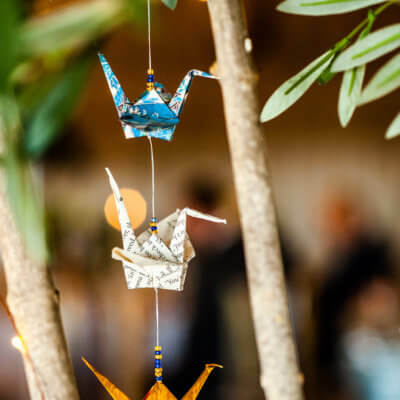 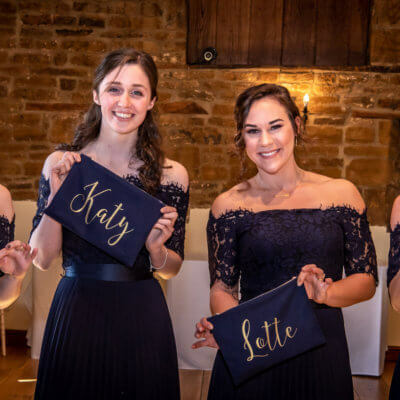 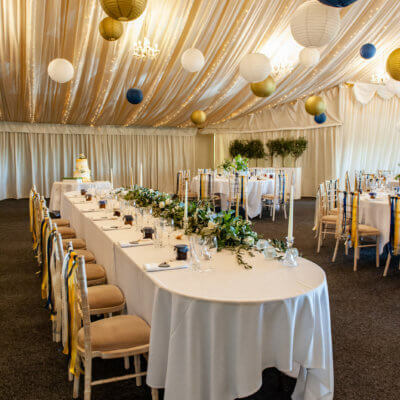 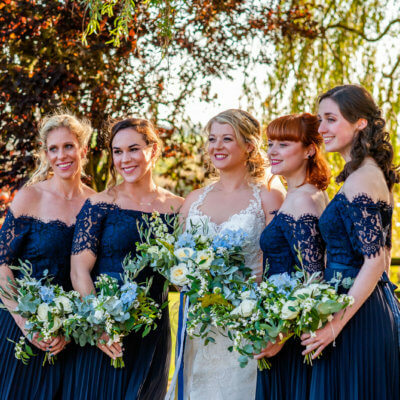 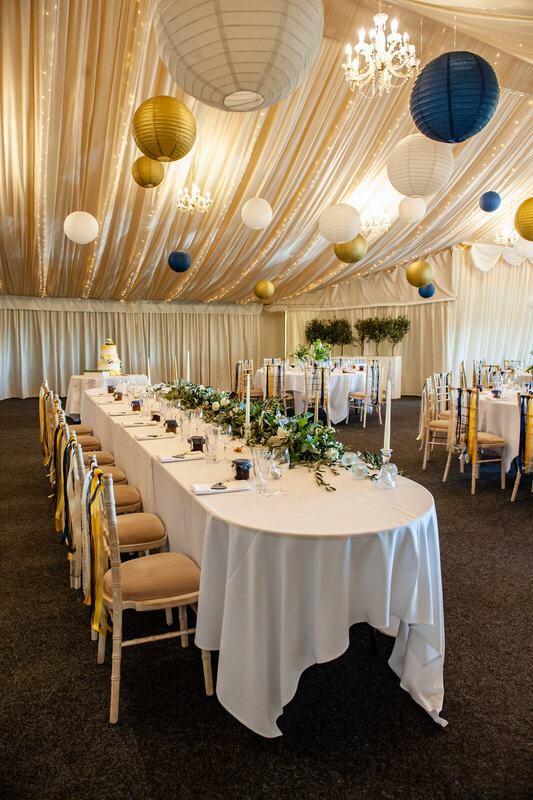 The navy colour scheme was carried through to the bridesmaids’ beautiful full length Bardot gowns and also tied into the decorations in the main marquee. 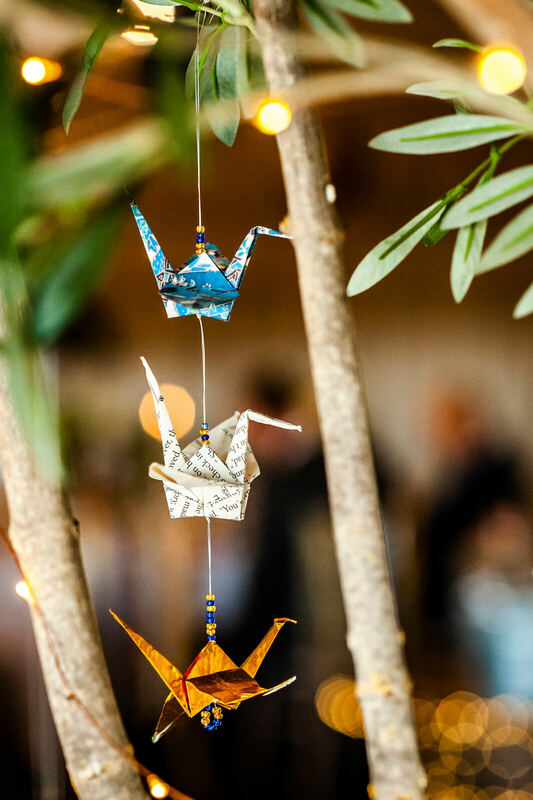 These included pompoms, ribbon, origami birds in shades of navy, gold and homemade marmalade favours. 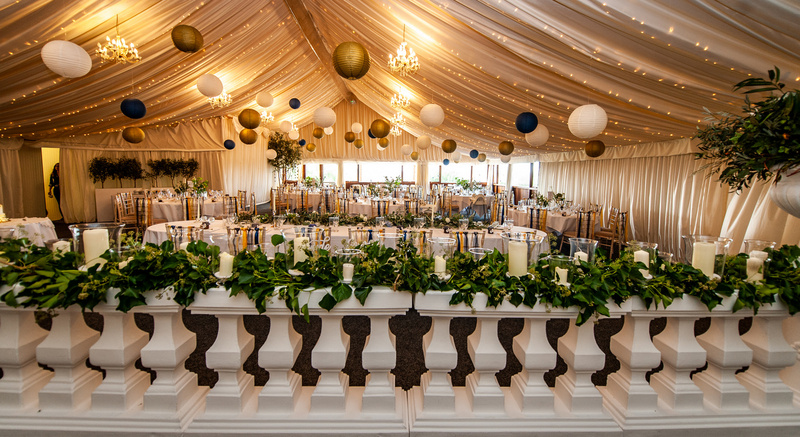 Decorations from Laura provided greenery, church candles and hurricane vases with table centres and flowers provided by Lizzy at The Flower Story. 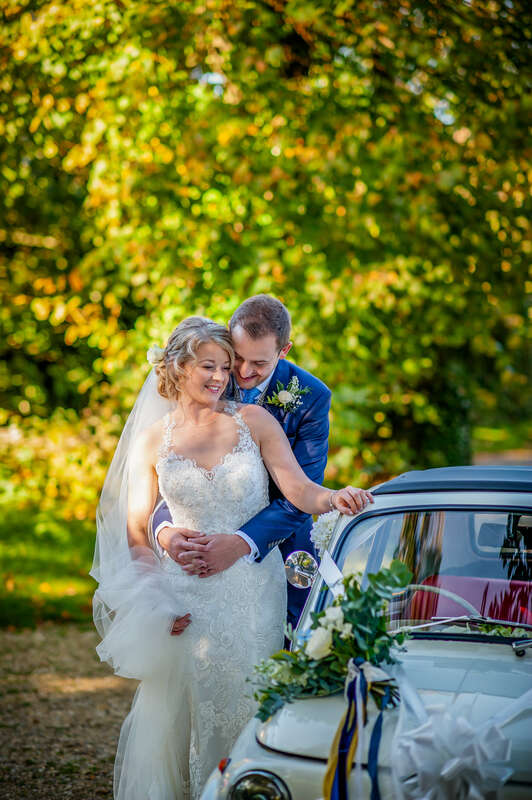 The bride & groom made the short journey from church in a beautiful white vintage car from Kiss Fabulous Rides. 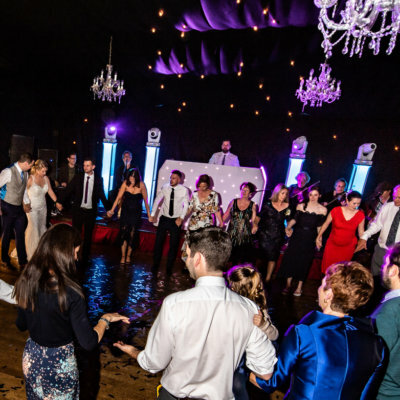 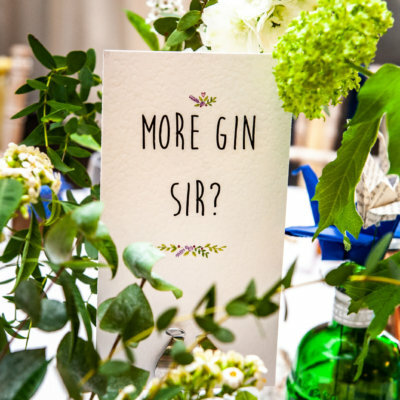 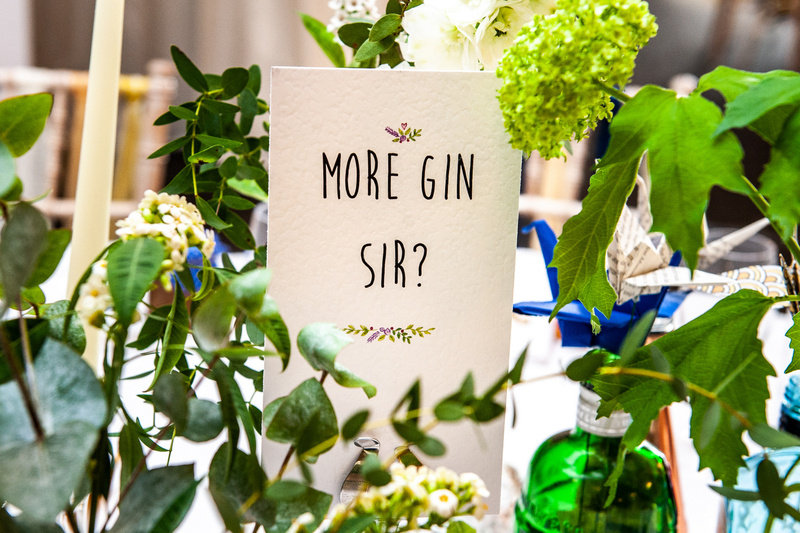 After a drinks reception of Champagne, Hendricks Gin and canapes, guests feasted on topside of beef from the Chopping Block before partying the night away to Celidh band Govannen and Rob Lawes Entertainment. 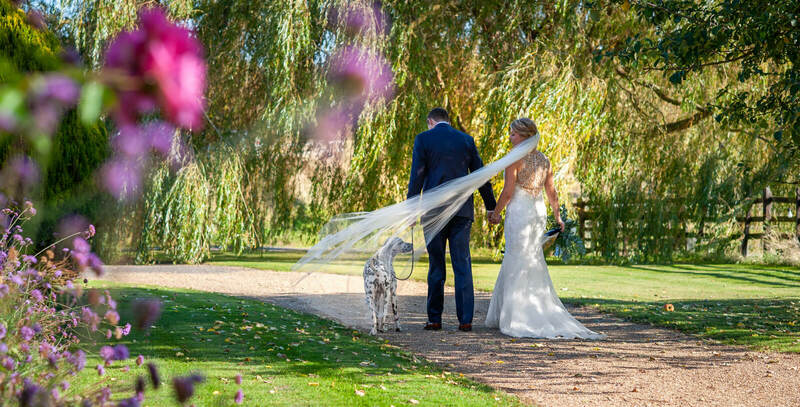 Dalmatian Heston was guest of honour and joined the happy couple for photographs. 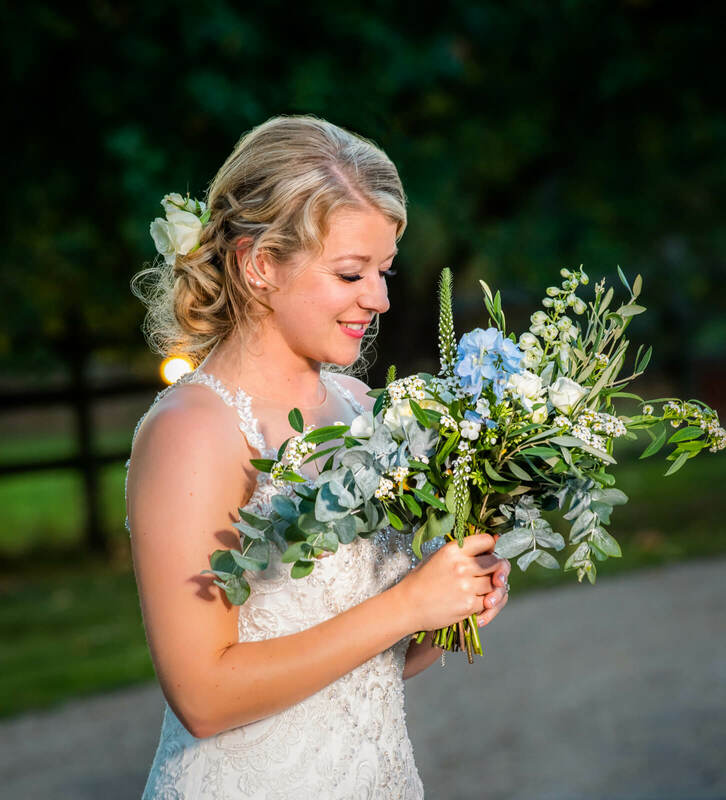 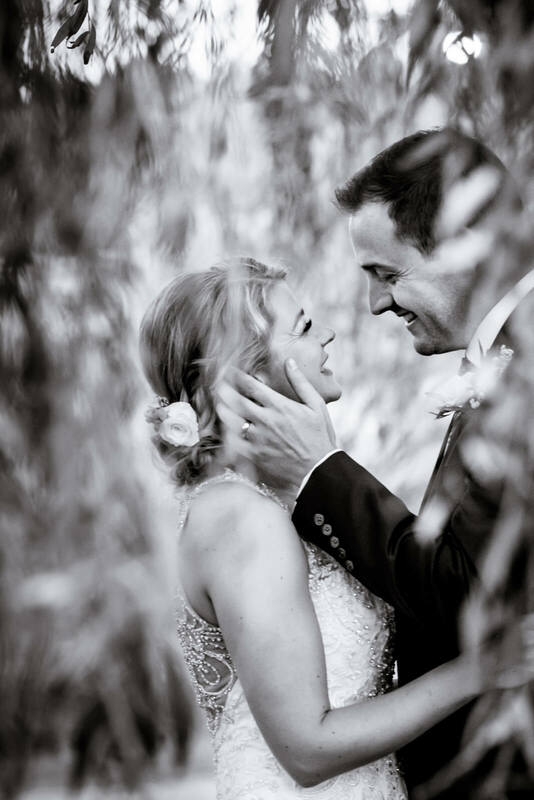 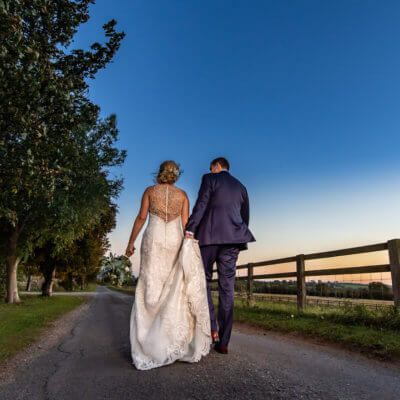 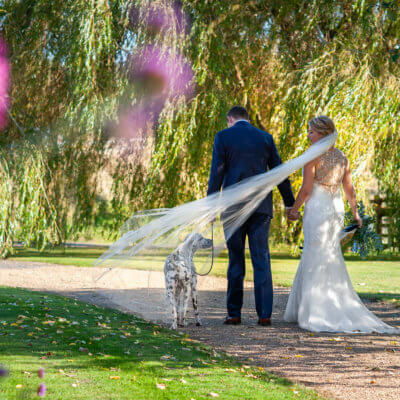 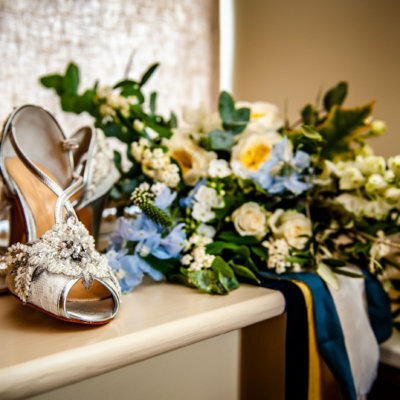 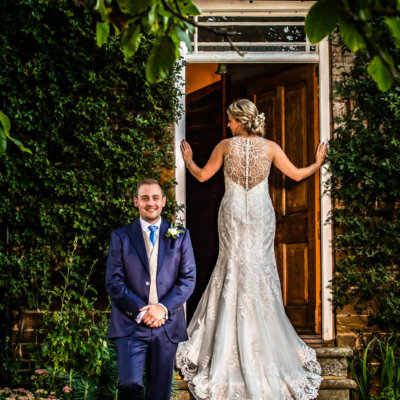 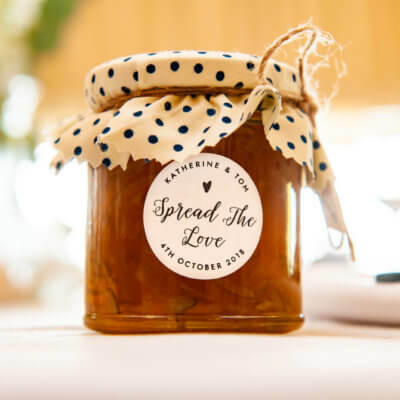 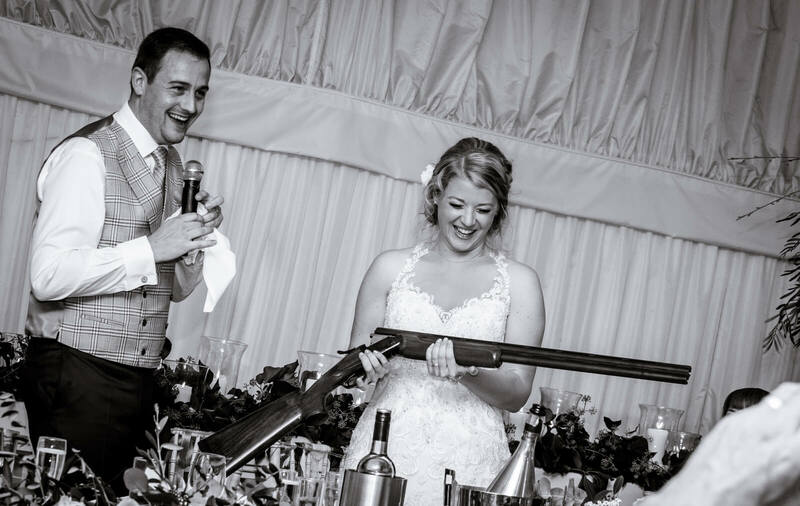 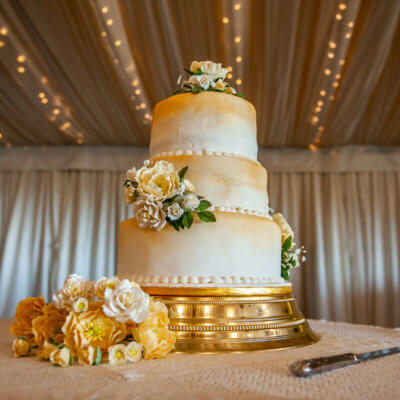 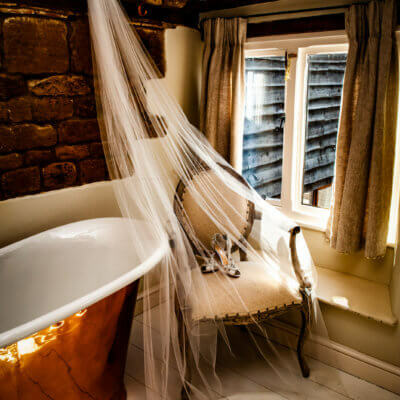 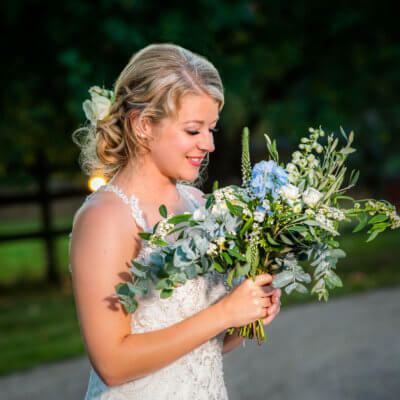 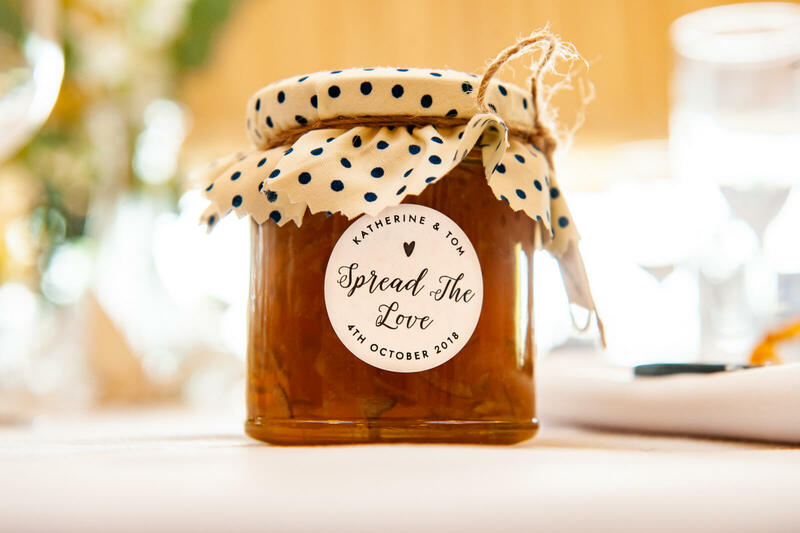 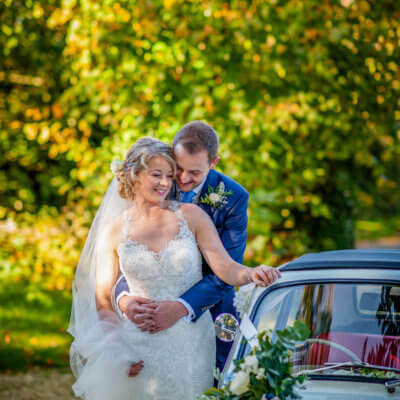 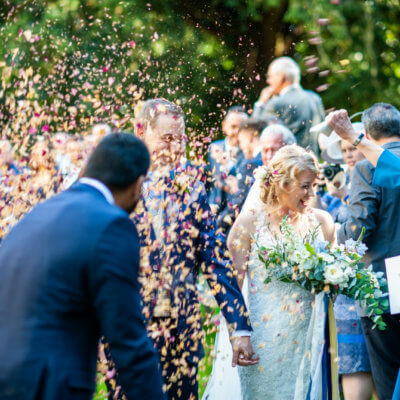 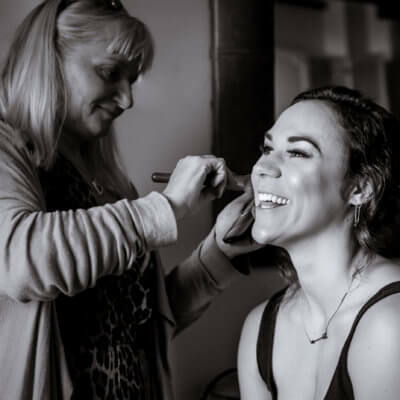 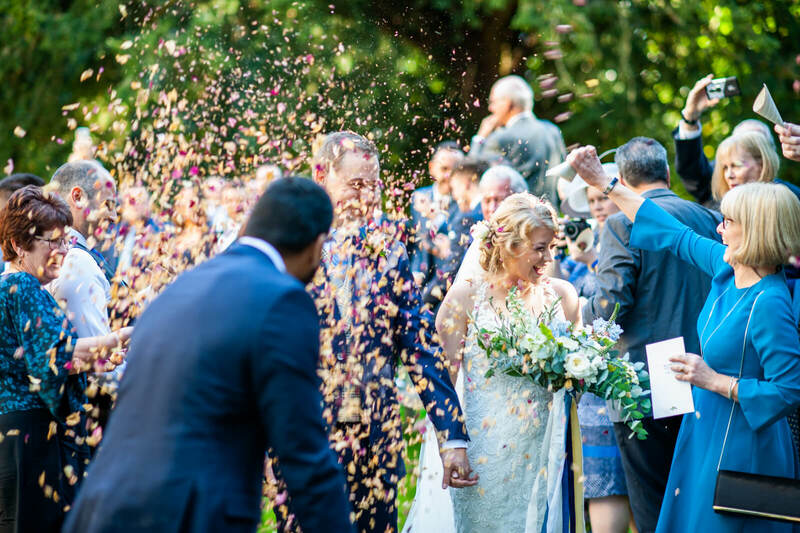 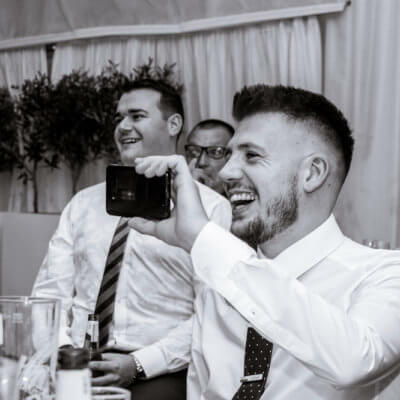 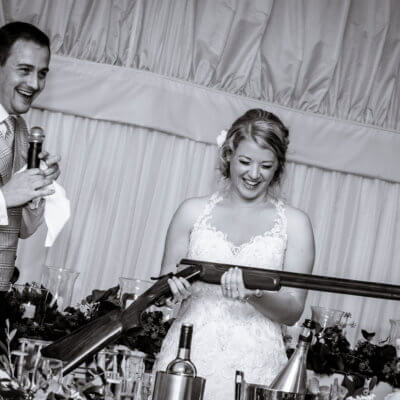 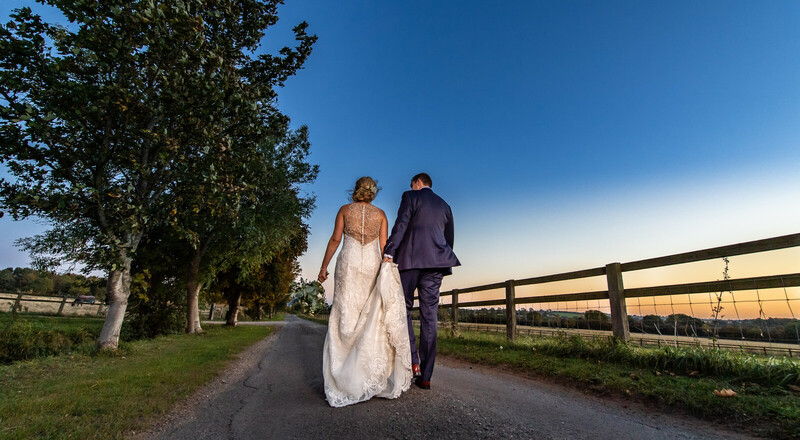 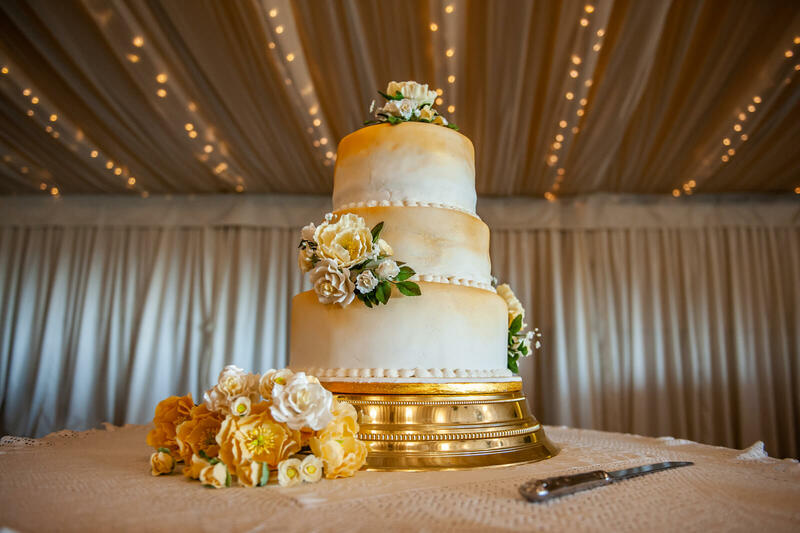 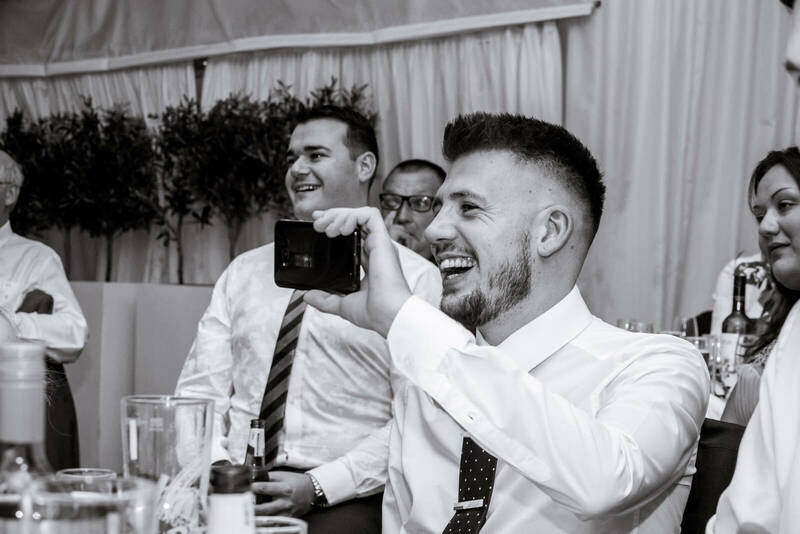 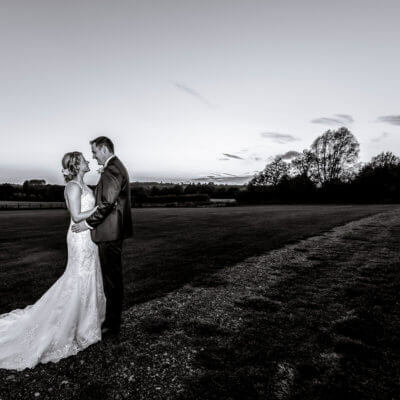 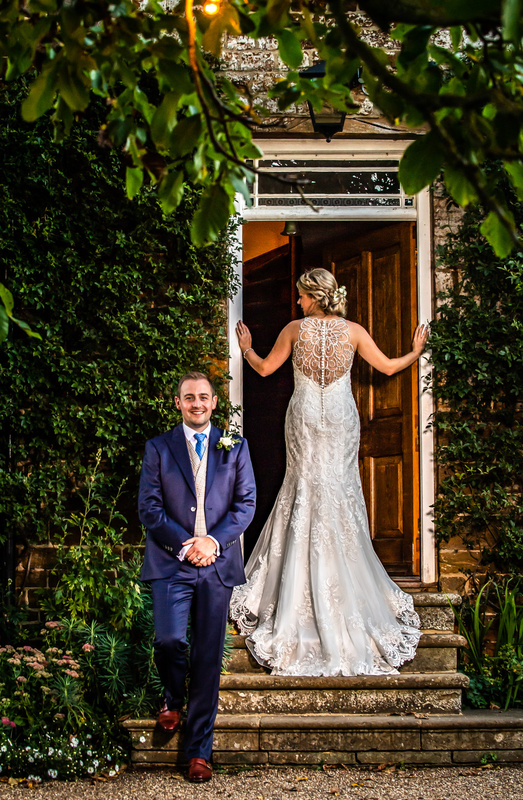 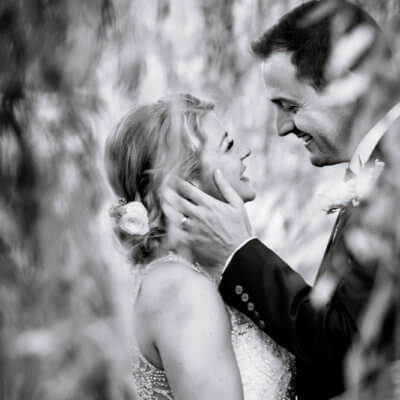 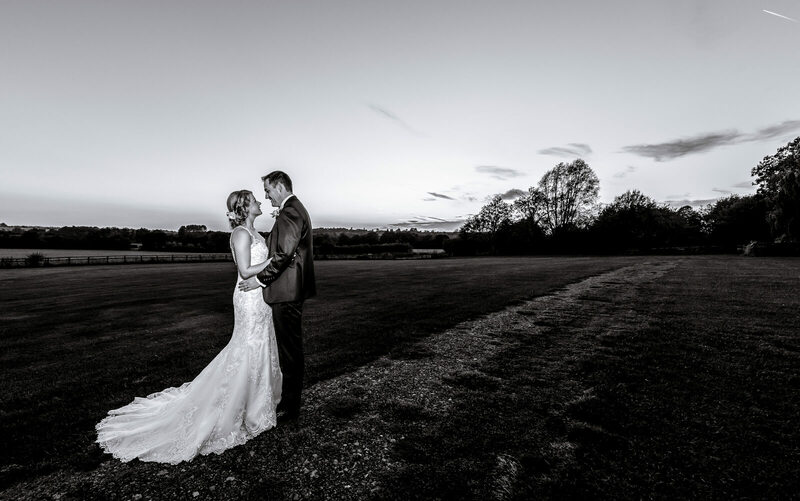 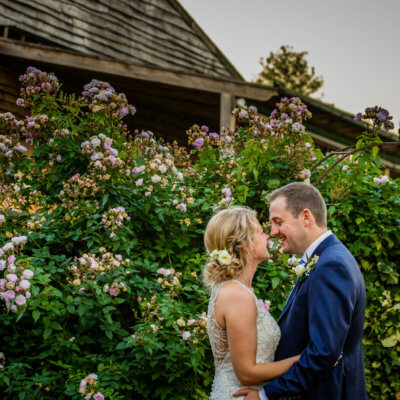 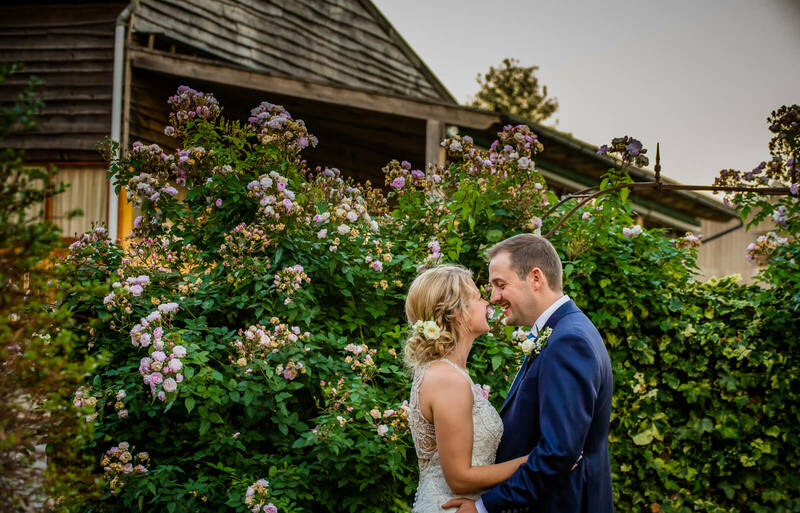 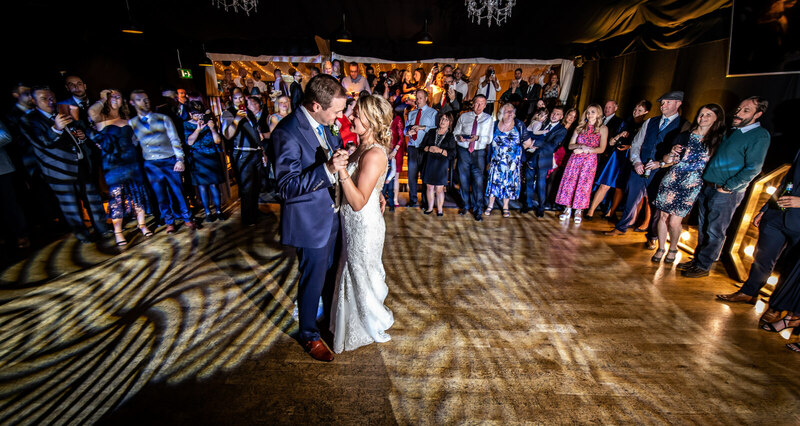 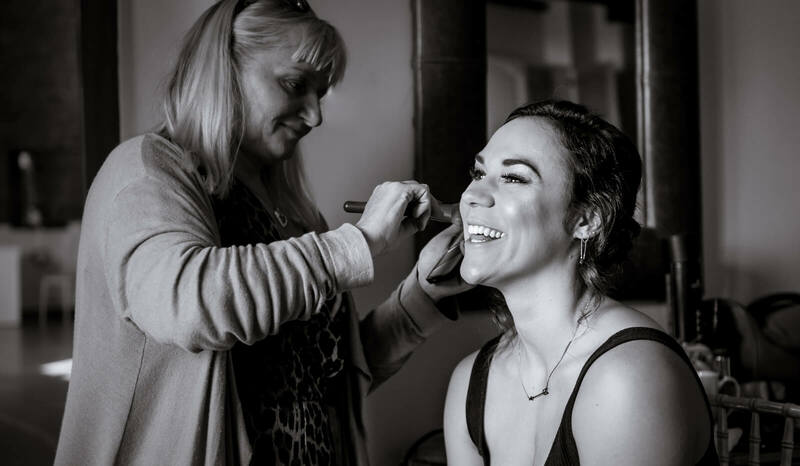 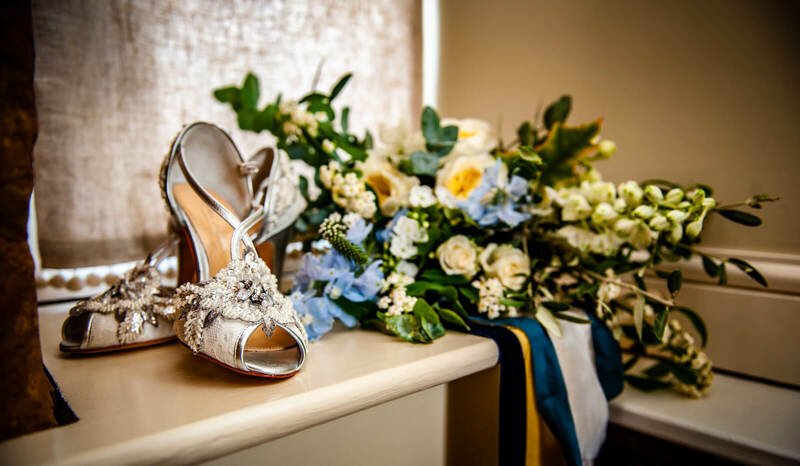 Our thanks to Katherine and Tom for allowing us to share their day with you and to Photographers Graham and Emily from Yellow Door Photography who have captured the happiness of the day perfectly.